The Life Of Faith: 35 Weeks Pregnant! 35 weeks. Apparently I am now in the home stretch baby! "Girl you look like you're about to pop!" "Wow, I don't think you're going to make it to your due date!" Yup, I can see my belly...AND I can feel it! It adds some extra weight believe it or not! I really don't mind the comments, and in spite of my increasing humongousness, I love carrying my sweet baby knowing that with every day, I'm a day closer to meeting her! Ahhh I can't wait!! What was/is your favorite thing that people told you while you were pregnant, and what did you hate to hear? How Far Along? 35 weeks-yes, I know my belly grew A LOT this week! Movement? She doesn't kick me as hard anymore...probably because she is running out of room. I still feel her move, hiccup, stretch, and I can even feel her little practice breaths which make me super happy! Maternity Clothes: Ugh, clothes don't really feel good anymore haha! Up until this point, most of my pre-pregnancy shirts fit me. Now my belly starts to show at the bottom and I know nobody wants to see that! Best Moment of my week: Date night with my hubby! We went out to Panera and had a relaxing night together. After dinner we went to the mall and went shopping for the outfit we want to bring our sweet pea home from the hospital in. I wanted Jimmy to be the one that picked it out for her because I knew that would be special. He did a great job! Worst moment of my week: Being tired and nauseous...never a fun part of life! Sleep: I need more of it! I haven't really had insomnia or anything though so I can't complain! Cravings: Fruit smoothies...I have one every morning! Aversions: eggs, peppers and onions=yuck! Belly Button: I can't hide it. It's there for the world to see! Labor Signs: Braxton Hicks contractions. I learned the difference between those and real contractions at our birthing class last weekend. If you blow up a balloon part way and squeeze it in the middle, that's like a Braxton Hicks. If you squeeze it at the top, that's a real contraction because it puts pressure on the bottom of the balloon (the cervix). It finally made sense to me! Other Symptoms: Much to my husband's horror, he says that I am "nesting". I am reorganizing everything and trying to make room for baby stuff in the nursery. Her nursery used to be our office space and my craft room. We have NO storage space anywhere so I have to be super organized with where I put stuff or it will drive me crazy! I found these little crates at Walmart for $1 and I think I may have bought like 15 of them. They work great for storage in small places though. Check it out! Mood: Very tired, sometimes cranky, but mainly thankful to Jesus that I've had a pretty healthy pregnancy and that I have a healthy baby! I've got so many other fun projects I need to get working on too! 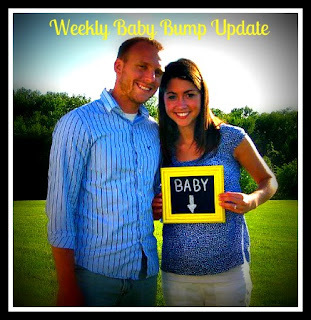 Thanks for following along with my pregnancy updates and for your sweet comments! I love reading each and every one of them! I hated when people said I was ready to go at 35 or so weeks, because the baby would still be early if it came then! I love the chalkboard! Your pillows came out great! Very cute!! I haven't hated hearing anything...I find it all humorous really. Even when my friends exclaim at how huge I am, I can't help but laugh because it's true! What I've loved is hearing how her 3-D ultrasound looks just like me...I can't even imagine having a mini me running around! You look really great though, not like you are about to pop at all! We are definitely not the women who measure large during pregnancy! I looked forward to nesting when I was pregnant . . . but I never got the nesting urge. Oh well. 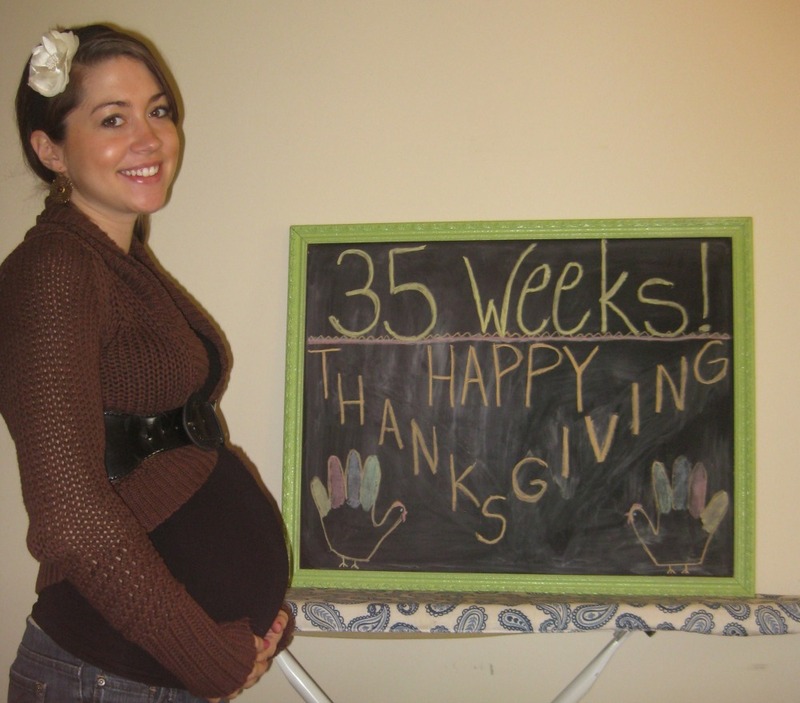 I went thirteen days past my due date; in that period, I got to the point of not wanting to see people because they would make some comment about how I was still pregnant. Enjoy this time!! So sweet, I was so happy to hold mine, but missed them doing flips in my belly too! Oh the nesting! When I was nesting, I organized everything even the spice cabinet :) You look great, girl! Following your blog definitely is giving me "baby fever." I miss being pregnant, but love having my baby here to cuddle with! :) Enjoy these next couple of weeks of anticipation! I think you look amazing!!! :) People make the silliest comments sometimes! And I absolutely love the pillows you made, can't wait to see everything! 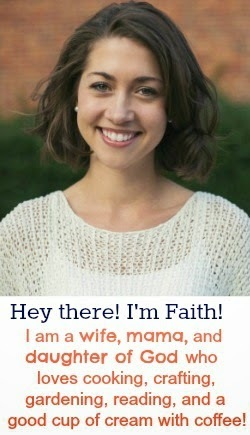 You are looking great girl. Hope your family has a wonderful and blessed Thanksgiving. You're so close, and super adorable! The thing I hated to hear the most: "Are you sure you're that far a long?" I don't show very much while pregnant and no on belives me when I tell them how far along I am. Good for you that you're nesting. With my last pregnancy I definetly wasn't nesting in the third trimester, lol! I'm about 21 weeks along and we are having a boy :). People used to say 'you're looking well' ALL the time to me. I don't know why but it annoyed me but I've found myself wanting to say it to pregnant friends now! It's like you automatically expect a pregnant person to look haggard!! I hated people saying that I was looking good and I was "glowing". I stated nasting early on, my bathroom has never look cleaner. lol. Oh my gosh, you are SO CUTE! :D I love your belly!! I found you via My Joy Filled Pregnancy... praying for you as you near the end of this journey and begin a new one! !